Machu Picchu is amazing, magical, mysterious, it is the ideal place to visit with children. It is hidden between the Huayna Picchu and Machu Picchu mountains, and is located right in the middle of the Amazon jungle brow and the Andes mountain range. It was buried for 400 years until - the children love this story - Hiram Bingham came to the ancient Inca city of Machu Picchu, "guided by a child" from one of the nearby families. That is how Machu Picchu was made known to the world in 1911. You can plan your visit to Machu Picchu in Cusco for 4 days. Day 01 in Cusco, day 02 in Aguas Calientes, day 03 in Machu Picchu and day 04 in Cusco, to return to their place of origin. Experiencing this mysterious milestone, protected by a gigantic mountain maze of the Andes, is one of the best experiences you can have with your children. It will be those unforgettable moments, that one treasures the rest of his life. As in a trip with children you have to prevent any inconvenience, review how to avoid the symptoms of altitude sickness. Know that children are considered to be between 8 and 17 years old; so you can get Machu Picchu tickets for them at a discount, just by presenting your passport. 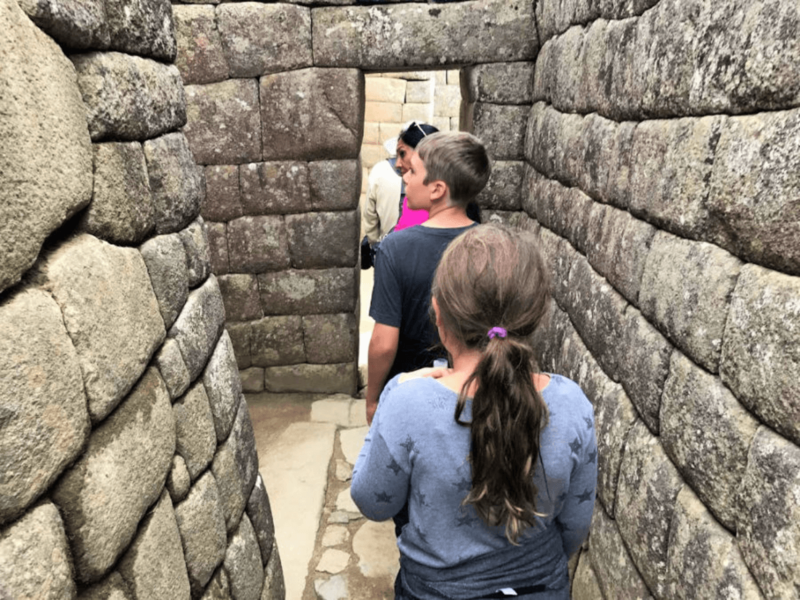 Children under 8 years old do not pay for the Machu Picchu ticket; but, although they do not pay, they will not be able to enter Machu Picchu if it is not in the company of their parents or a responsible adult. 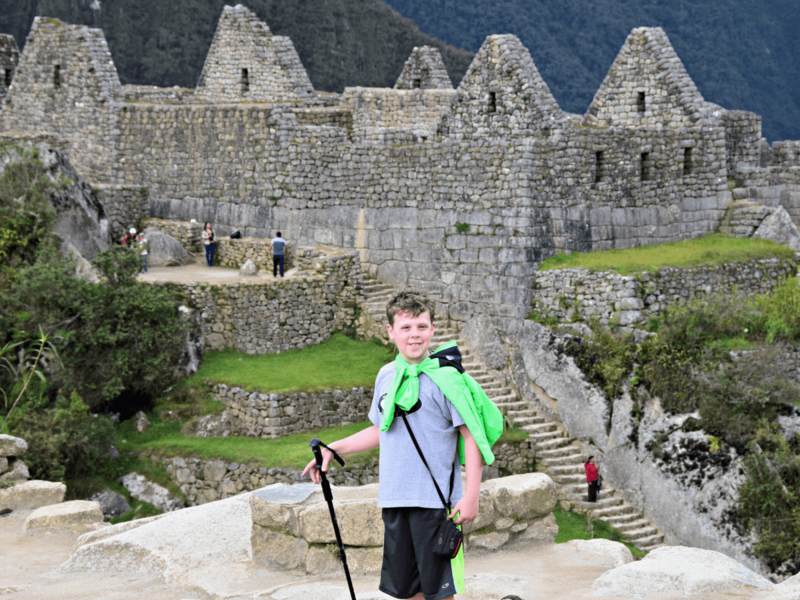 Only children over 12 years old can use the Machu Picchu + Huayna Picchu tickets; This is due to the care that must have the people who decide to travel their vertiginous paths to the top. The route of the Huayna Picchu mountain is considered among the most amazing walks that exist, but not all people can travel this mountain; and not only because there are only 400 tickets available and you have to book them well in advance (4 months), but also because if you are afraid of heights, we recommend booking any other Machu Picchu ticket. How to get to Machu Picchu with children? 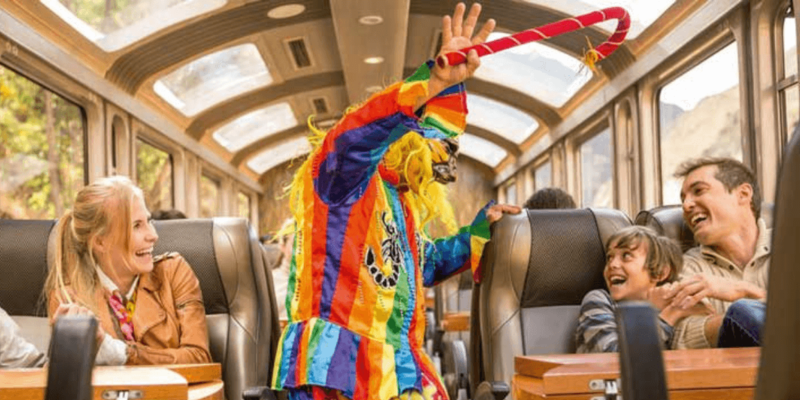 Do not forget that children enjoy trains more than hiking; so, we will avoid mentioning the Inca path in this post. Also, boarding trains to Machu Picchu may be one of the best decisions you can make if you come with children. The train route is considered among the most amazing short routes in the world and they will love it. However, remember that train tickets also have to be booked weeks in advance. The trains to Machu Picchu will leave you in Aguas Calientes, so you will still have a stretch before reaching the entrance to Machu Picchu. There is a path used to access the Inca city since it was discovered; however, in case of coming with small children, under 10 years old or with little physical resistance, we recommend using the buses to Machu Picchu, since you still have to walk the steep trails of the Inca city of Machu Picchu, so in no way will you like to get to this place with your tired children, because the best of this place is there, up in the mountains. 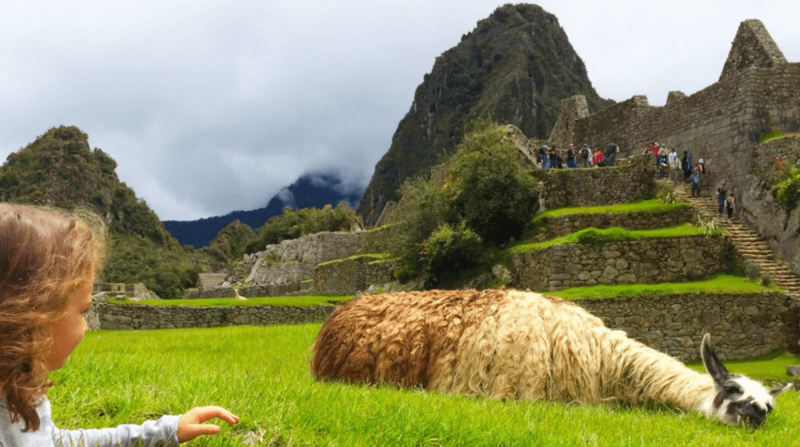 Know how to hire a guide in Machu Picchu, since once you are in the entrance to Machu Picchu you should try to hire a patient and entertaining guide: do not let your guide ruin the experience of your children in Machu Picchu. Be sure to hire a guide with experience with children, one that can capture their full attention so they can learn from one of the most amazing places on the planet. Once in Machu Picchu, you will be told that Machu Picchu is the result of the development of Andean architecture for 5 thousand years. The guided tour of the Inca city lasts approximately 2 hours; remember to bring plenty of water and some snacks, since the sun is strong, the roads are steep, and children need to be well hydrated, to avoid heat stroke; especially if it comes to Machu Picchu in the dry season (May - September). You can buy them when you arrive in the city of Ollantaytambo, since in Aguas Calientes (Machu Picchu town) and even more, in the entrance to the City of Machu Picchu, everything is much more expensive. Also carry sun protection when you come to Machu Picchu with kids. Most of Machu Picchu trails are stone paths and can be slippery, especially with morning humidity, or in the rainy season; so we recommend you come, you and your whole family, with non-slip shoes. Also remember that within the Inca city of Machu Picchu there are hundreds of vigilantes, there are marked barriers and laces of security that no person should cross. However, remember that you are directly responsible for the safety of your children, so do not lose sight of them under any circumstances. The impetus of the children, can take them to have small accidents, if they are not watched, so take care of them. Aguas Calientes, a town that came to know before Machu Picchu, this town has a beauty in its short size, its main attraction is its hot springs, are open every day from 5am to 8pm, the income is 10 soles, children under 8 years old do not pay. These thermal baths are characterized by being on the edge of the hill, outdoors, has all the services where we can enjoy and relax for a few moments of this water rich in its natural components. We does not recommend taking a tourist guide with small children, the children get bored and will not go to the rhythm of the guide. If you want to hire a guide, get an entertaining guide, if you prefer we can recommend one, to make your trip enjoyable and entertaining and to capture all the attention of your children, so that they learn about the culture and history of this wonder of the World. Finally, we recommend you take or buy water before entering, in the park they do not sell drinks. Also the entry of food is prohibited Can I go with a baby to Machu Picchu? Yes, "you can go with a baby in your arms to Machu Picchu"; this does not represent any problem, except maybe for the person who will have to charge it during the tour; however, you can do it with peace of mind. Can I stay in Aguas Calientes with my family? If you plan to stay with your family one or more nights in Aguas Calientes, you may want to read some recommendations of where to sleep in Machu Picchu. There are many things you can do in Aguas Calientes, if you decide to spend one or a few days in this city before your trip to Machu Picchu.